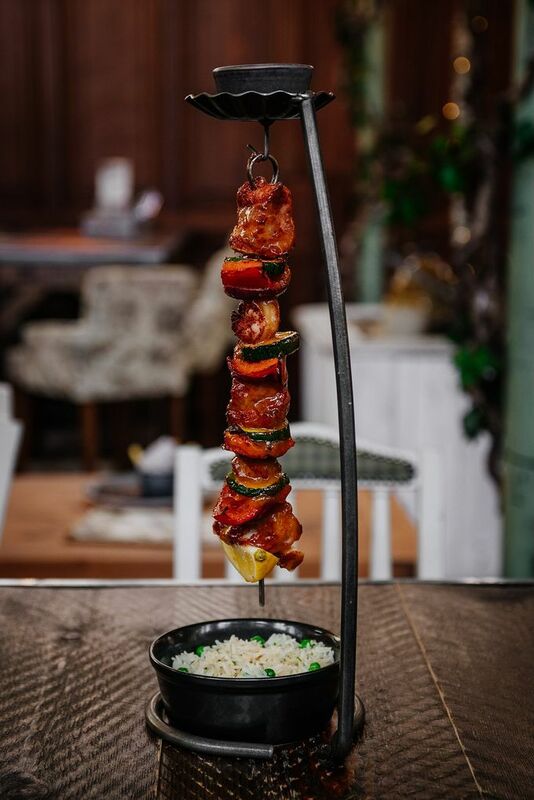 Try one of The Botanist's famous hanging kebabs with any cocktail for just £15. We may have taken a bit of a breather last month, but now we’re back and ready to shout about The Botanist and its delectable dishes and mesmerizing cocktails! Read on to find out what fantastic offer we’ve got for you to redeem at The Botanist this month! The Leopold Square bar and restaurant has been feeding Sheffielders since it opened its doors back in autumn 2016, with the very best in hearty food (think hanging kebabs, rotisserie meats, burgers, all the good stuff) and top-of-the-class botanical cocktails. Earlier this year the 15-strong restaurant chain also introduced its vegan menu, following popular demand from diners. With something for everyone, including gluten-free, vegan and dairy-free options, The Botanist Sheffield has the recipe for a delicious night. And if that wasn’t amazing enough, throughout this month, you’ll be able to enjoy a main meal and a cocktail for just £15. For those who don’t fancy a cocktail, you’ll be able to get a soft drink with your main for £12.50 – bargain! Simply quote ‘dine and discover’ when booking and you're good to go! Book your table today to avoid disappointment online, call 0114 273 7855 or email sheffieldsales@thebotanist.uk.com. Don’t forget to share your drool-worthy photos of your Botanist food using #DineAndDiscover on Instagram and Twitter, and let us know how it was!